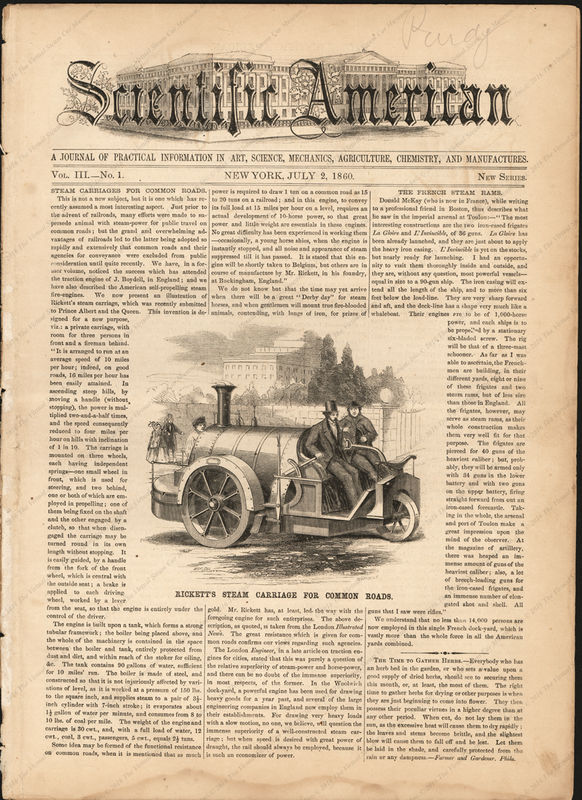 Scientific American featured the Rickett's Steam Carriage made in Buckingham England in its July 2, 1860 edition. Rickett's Steam Carriage purchased space on the front page of the July 2, 1860 Scientific American. 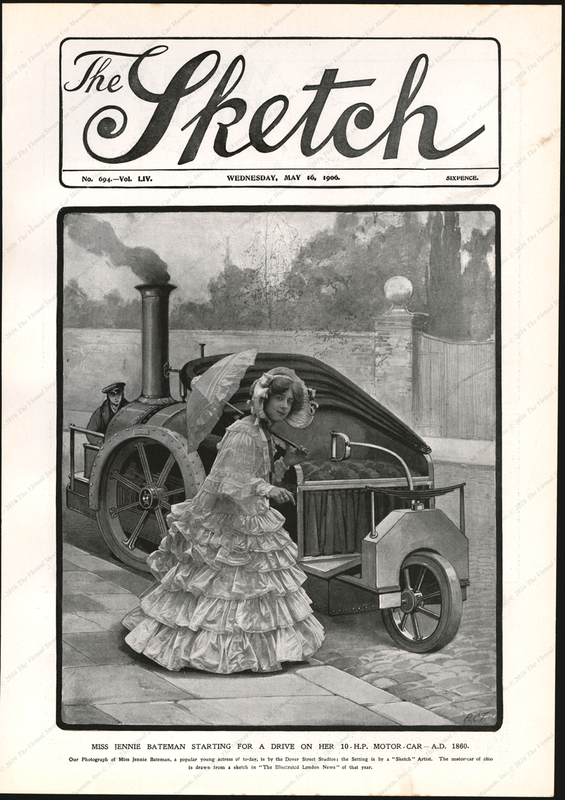 The Sketch, a British magazine, featured the Rickett Steam Carriage in its May 16 , 1906 issue. It illustrates Miss Jennie Bateman, a popular young actress, entering the vehicle for a drive. Contact us if you have additional information about Rickett's Steam Carriage or if you have questions.